I have a really cute and simple little craft for you today. 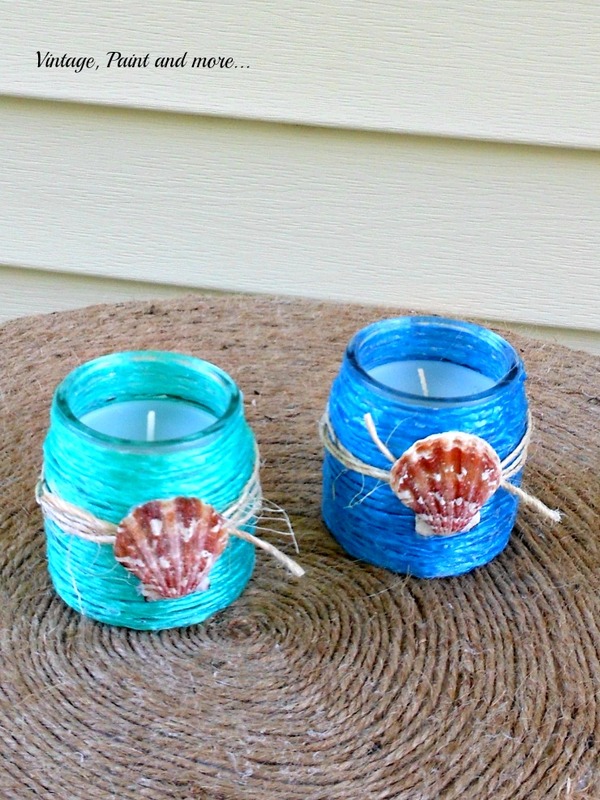 Bright beach inspired DIY raffia wrapped votive candles for your patio or anywhere. They are also budget friendly as all the supplies came from the Dollar Tree. 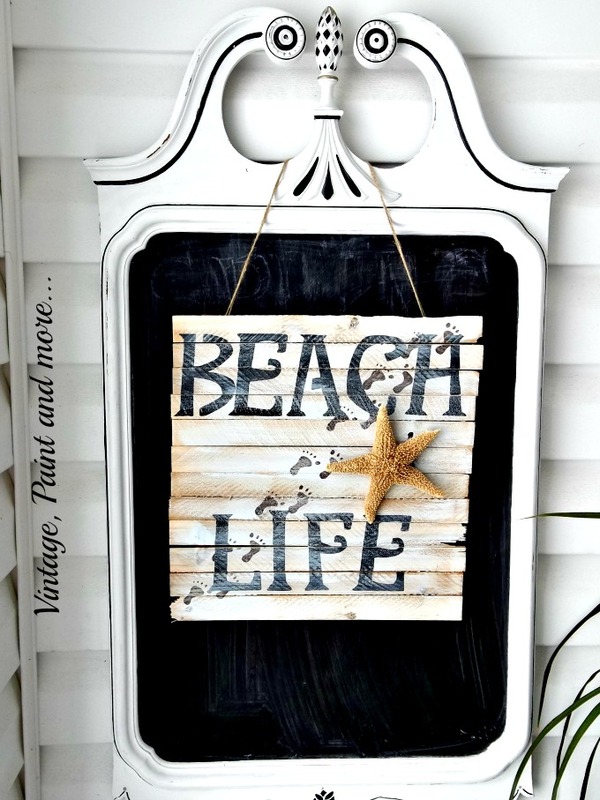 Aren't they adorable in this little beach vingette. 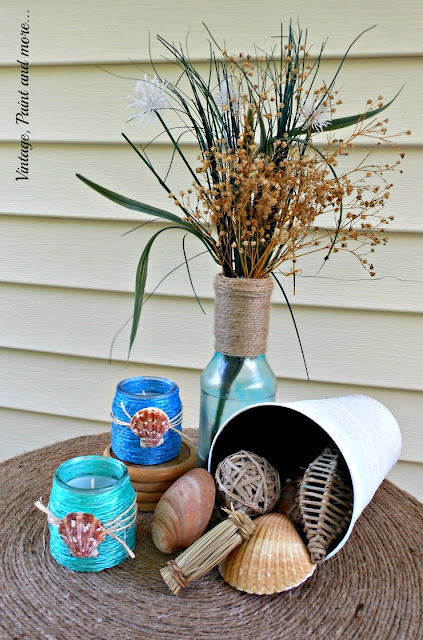 I started with a couple of votive candles in jars and a couple of rolls of raffia that I found at our Dollar Tree. The raffia comes in packages of three skeins - a royal blue, a turquoise and a lime green - bright, very fun colors. 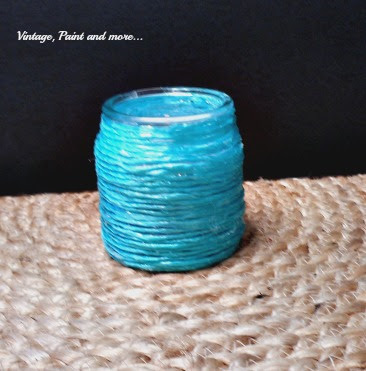 I simply wrapped each votive jar with the raffia using a little hot glue here and there to keep it in place. Then I added a little bit of twine by winding it around and tying it in place. I glued a shell over the knot and wallah - you have a very cute little votive to use on your beach inspired patio or any where that you like. 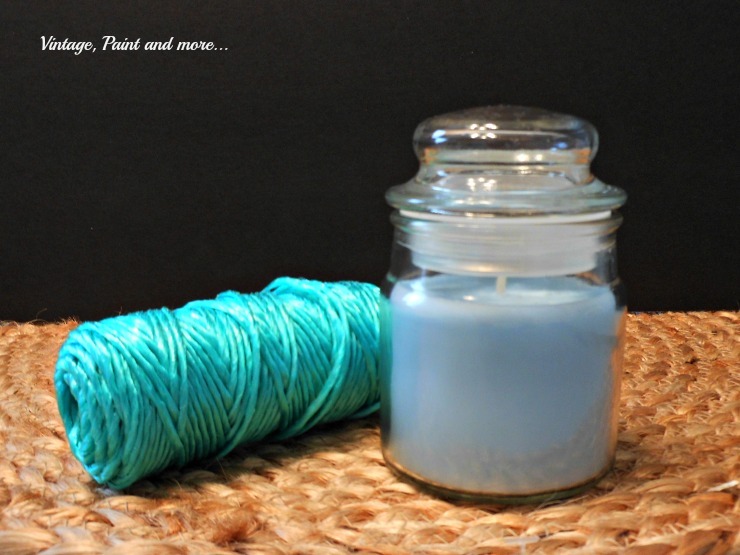 Here are mine on my Twine Wrapped Table I made. 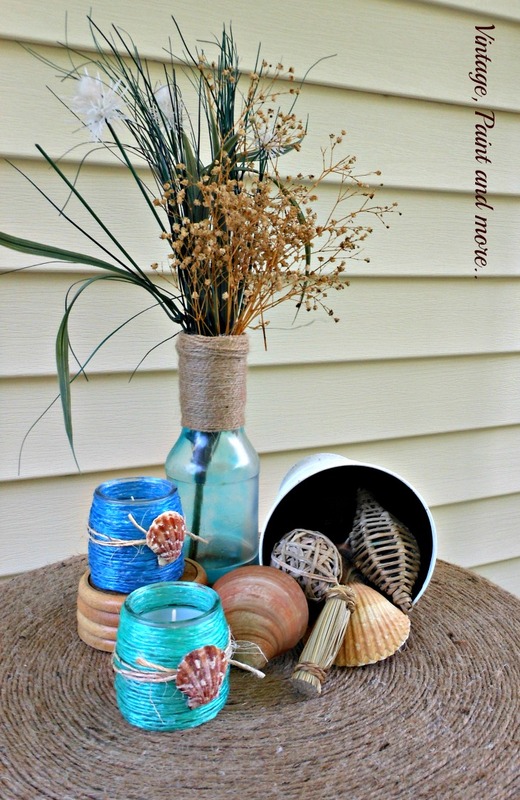 I placed them in a little beach inspired vignette with a "faux" beach glass painted bottle wrapped with twine and filled with some beach grasses and a bucket of shells and twig balls. So cute - so beachy - and so quick to make. I love these bright colors. I will be linking up to the parties listed on Where I Party page. Please go by and check them out - you will find so much great creativeness and inspiration at each one. If you like this post you may also like the following ones. Such a neat idea! Love "dollar store" projects. Love the color you chose! 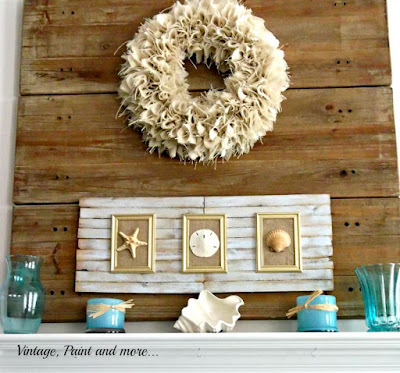 This is my kind of craft...easy and BEAUTIFUL! These just turned out so pretty! The idea would work well for any holiday. I'm dropping by from the Home Matters link party. This is such a wonderful craft idea! So easy and inexpensive! I'm putting this on my list of things to do this weekend!! My linkup is open Wednesday through Friday at midnight Mountain Daylight Time. So there isn't much time to link up today. I hope to see you there! If you can't make it, maybe you could participate in my link up next week. I love cute, simple, and inexpensive diy projects!!! I love these! 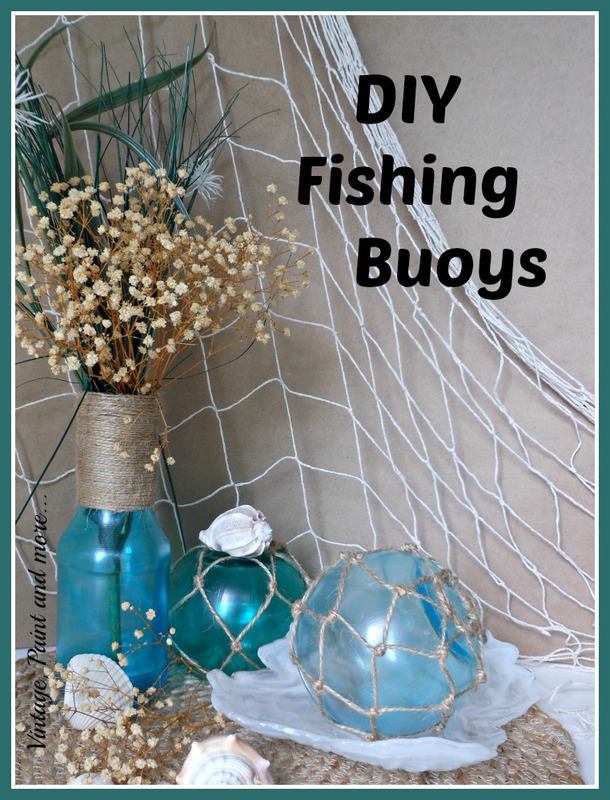 I'm always looking for new ways to use dollar store items and beach decor. Combining the two is perfect. Thanks for sharing on Snickerdoodle Sunday! Great beachy feel Cathy! Thanks for sharing them with SYC. 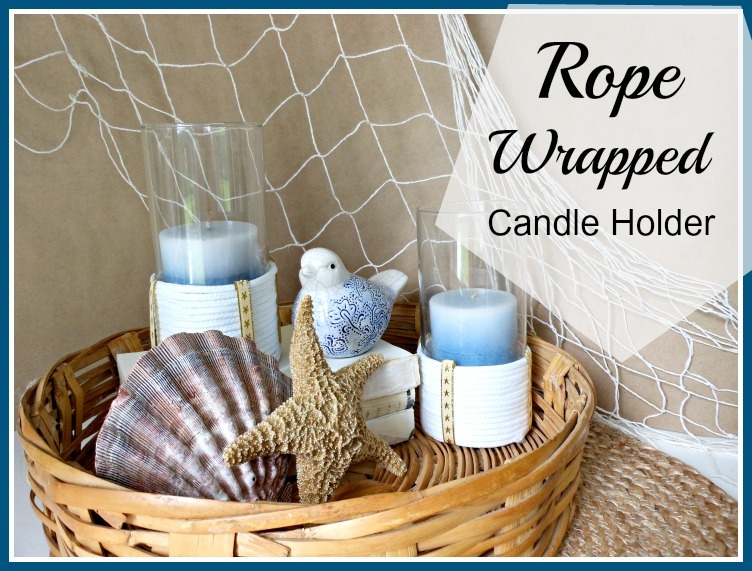 omg i was there and picked up two sets of that rafia - when I got home I was like wait this isn't twine....good to know what it is and a great way to use it. We were at the brothers the other day and he had these lovely bottles that I stole for something like this so great to have a reference. :) You are always so awesome Cathy! Thank you so much and I am so glad you are going to be able to use your raffia. I think you'll have a lot of fun with it. Can't wait to see your bottles.